Please note that the file I used is a simple image. 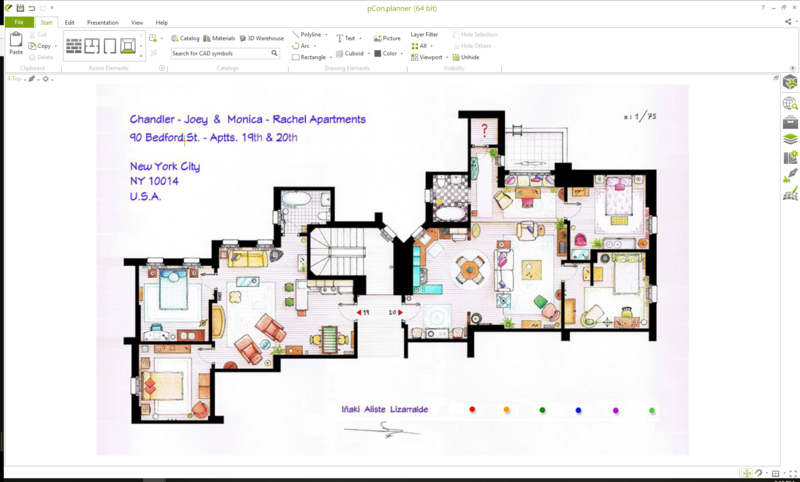 A .pdf with a professional floor plan would enable you to use the snapping points which are usually available in the pCon.planner. If you want to know more about the features and benefits of using PDF files to help you planning, read our article about the PDF import. 1. 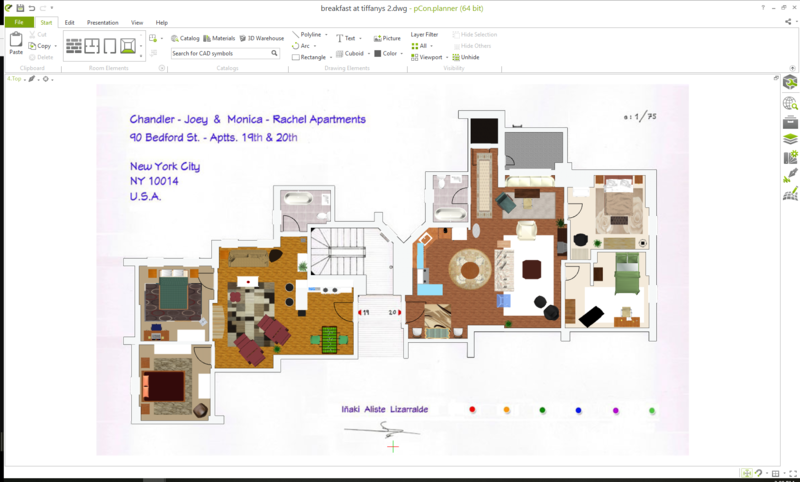 First, I inserted the floorplan – and it is as easy as it looks! I simply use the import feature to bring in the file or image, a little tip to keep in mind: you can set scales around to help you plan better. 2. Once the floorplan was inserted, I went ahead and placed walls along with other elements necessary (such as doors, windows and many more) on top of it. To make this happen, go to the Room Elements section. When dealing with walls with multiple thicknesses, I can easily adjust them to match the sketch. To learn more about inserting elements into your plan, head on to our pCon.planner Help page. 3. After putting up the walls and getting the floors installed, it was time to have some fun! When it comes to furnishing and decorating, I absolutely made sure that I took full advantage of going through the collections from pCon.catalog and 3D Warehouse to equip the space. 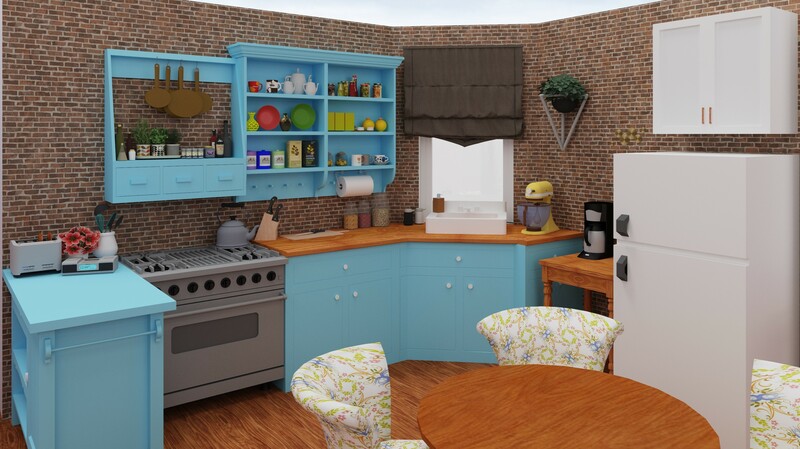 It’s great to have full control over how much detail I want to put in (re)creating this apartment set. Want to give it a go yourself? We challenge you to create a plan based on an existing blueprint (it could be from your favorite movie or TV series as well! ), and when you’re fully satisfied with it, why don’t you share them with us? 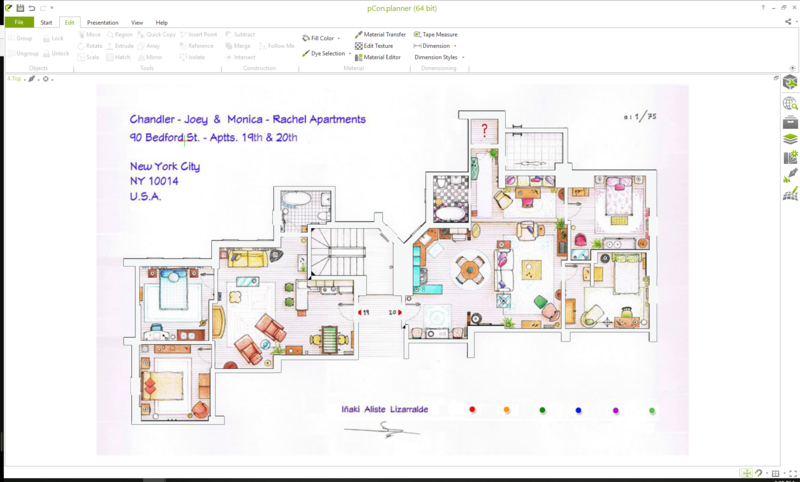 This entry was posted in Room Planning and tagged pCon.planner, room planning. Bookmark the permalink.